Fayann was chosen as one of the Top 6 finalists in the competition to create the illustrated garment. It was presented at a chocolate gala on April 9th 2014 and crowned the WINNER, hosted by Jeanne Beker (host of Bell Media's FashionTelevisionChannel) and Ann Czaja, (Lindt Master Chocolatier). 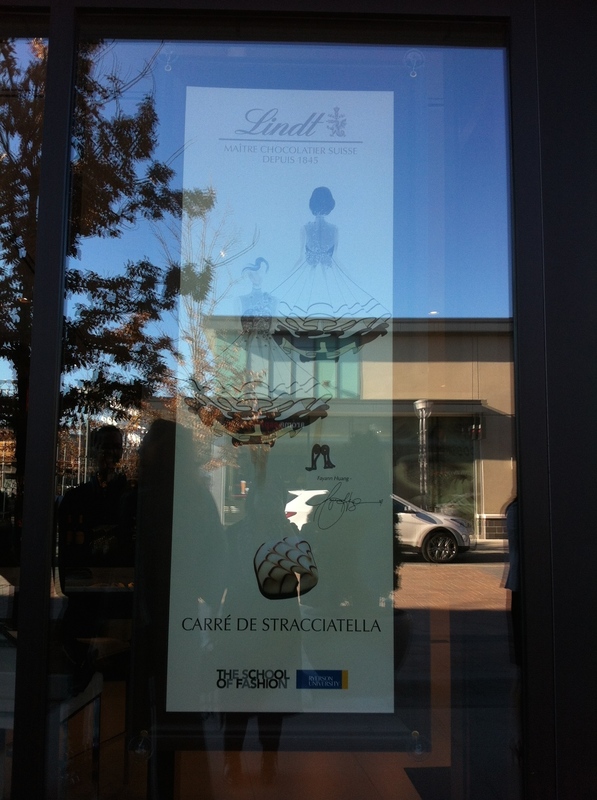 The Lindt Chocolate Fashion Design Competition asked fashion design students to design a dress based on one of the chocolates in the Lindt Swiss Luxury Selection of Chocolate. She designed a dress based on the "Carre de Stracciatella", a "heavenly combination - Crunchy cocoa bits and cookie chunks in an aromatic filling coated with white and dark chocolate" (Lindt.com). *As a bonus, she won a seven day trip to Zurich Switzerland, where she was able to get the full chocolate experience at the Lindt & Sprungli Headquarters.